Even if the Cambridge food scene isn’t very interesting, I feel like I’m not allowed to say such a thing, having yet to visit places like Midsummer House and Alimentum. It’s just that in London the choices multiply and the prices (at least for the quality you’re getting) drop. I can’t but love it. A weekend in early June we found ourselves heading down to the capital for a little food adventure. After stuffing our faces with the brilliant (and unexpectedly large) lunch at Launceston Place, we headed to our next stop: Bea’s of Bloomsbury. I had never heard of it before, but a friend works nearby and had great things to say about the little cafe in Holborn. We were booked in for afternoon tea which includes a scone and several mini brownies and cupcakes. 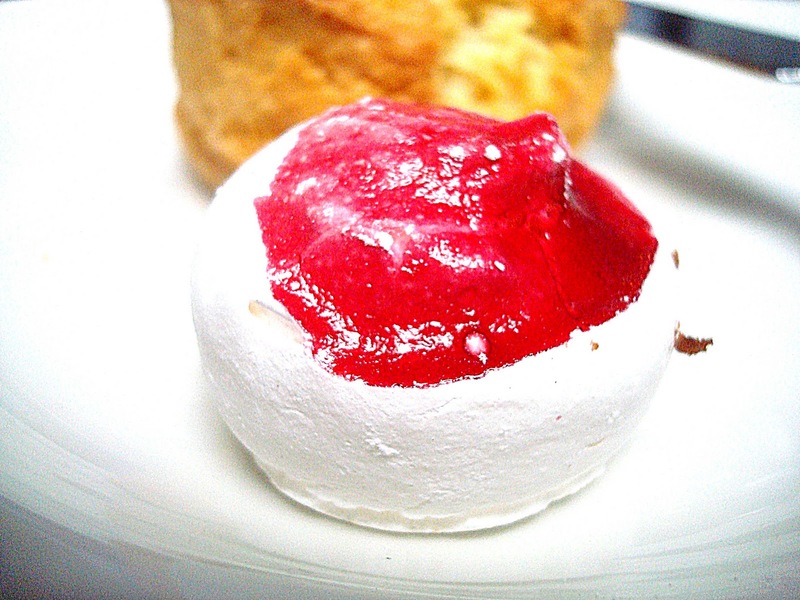 I started with the mini raspberry meringue, which turned out to be my least favourite. It was pretty to look at and lovely to eat, with a crumbly texture, but I found it a little too sweet for my liking. I still hadn’t recovered from lunch though, so maybe that was the problem. 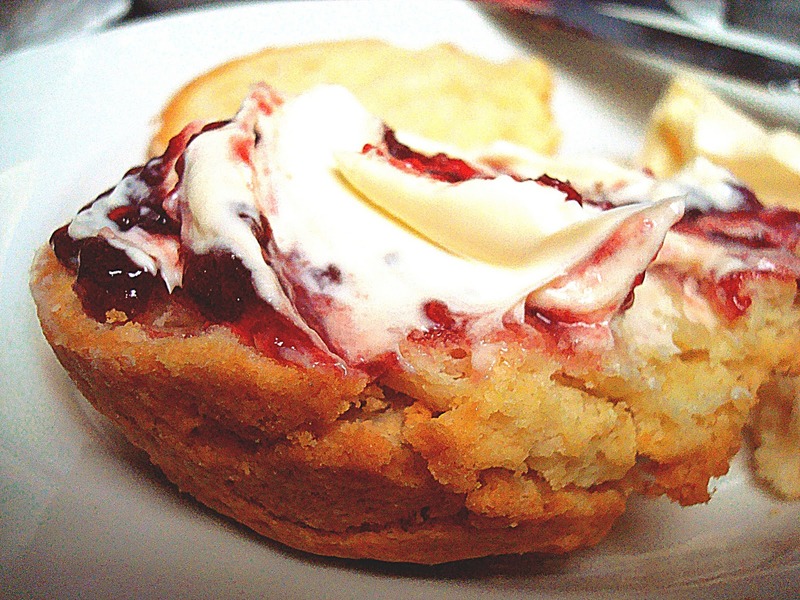 The scone, obviously served with clotted cream and jam, was one of the best I’ve had. It’s been over two months since then but I can still remember the moist, crumbly texture and the slightly salty taste that went perfectly with the sweet jam. It was rich but somehow still light and I could have eaten them all day. I was hoping that my Lapsang Souchong would help me digest my lunch and manage some of the cakes but, after having the scone, things started to look pretty desperate. Thankfully, we all agreed we’d rather take the rest of the cakes away and try again later in the day. 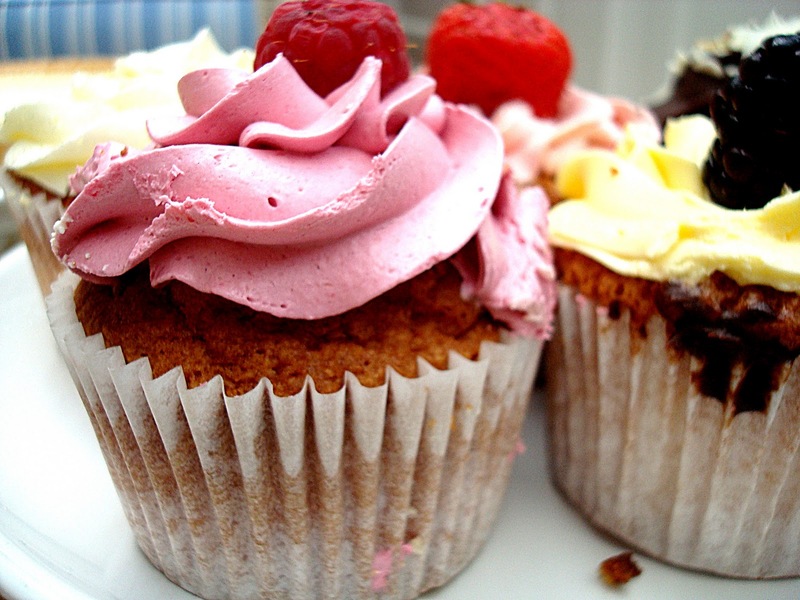 When we did manage them, I was pleasantly surprised at how moist the sponge was and how fruity the icing. It was a close competition but the favourite was probably the passion fruit one. If I had to complain about something it would have to be the place itself. We were there on a hot summer’s afternoon and since there was no air conditioning it was quite stuffy. I am sure that’s not a problem for most of the year, thanks to the glorious British weather, but maybe it’s worth looking into it for the few summer days we get. I did like the fact that from where we were sitting we could see the kitchen; it makes you feel that they haven’t got anything to hide! Bea’s of Bloomsbury does afternoon tea for just under £10 per person and it is well worth it for the quality and amount of stuff you get. You can add savoury mini baguettes for an extra £3. 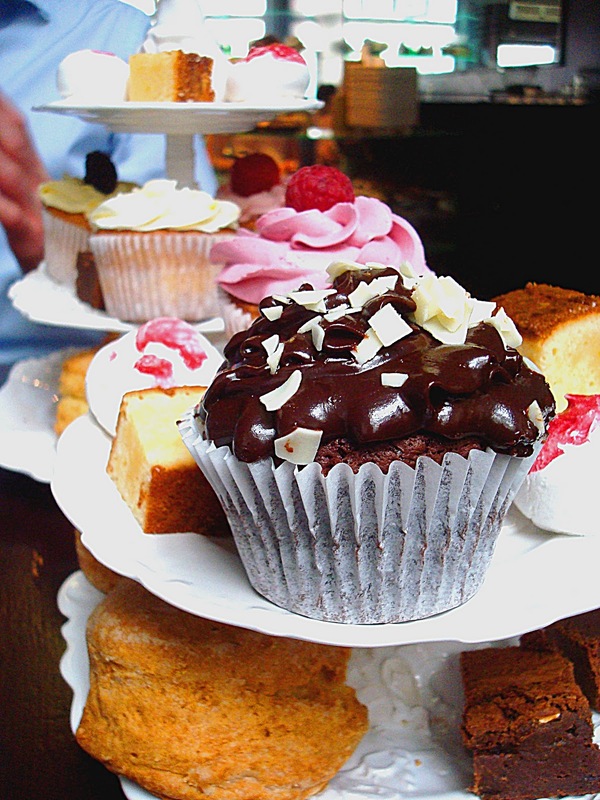 Or you can just drop in and choose a slice (or two) of cake to take away.